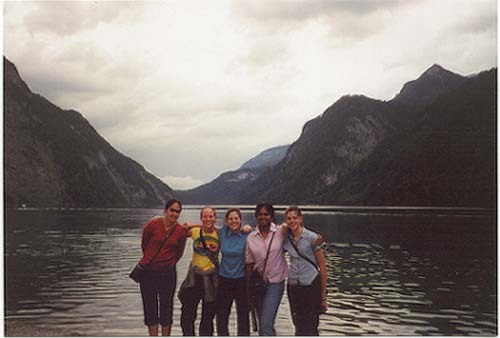 On the right, this is a picture of me and a group of my friends in a small town called St. Barthlomew in Austria on a lake by the name of Kongessee. From left to right this is Nathalie, me, Jillian, Shrea, and Sarah. 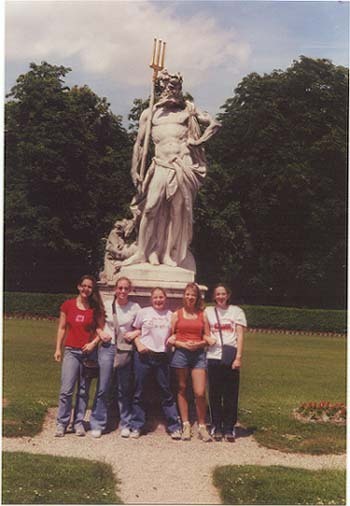 This is at a palace in Munich in the garden behind it. These are me and my friends, from left to right this is Christy, me, Megan, Ashleigh, and Melanie. 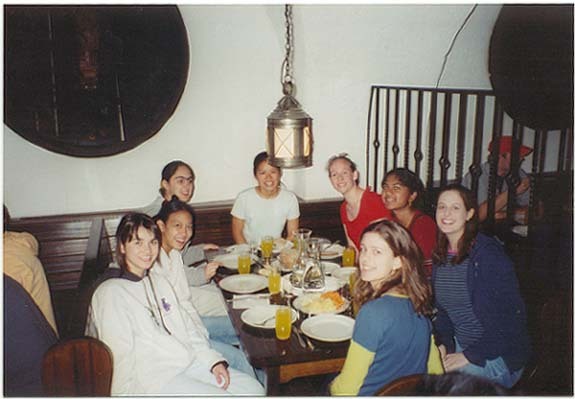 This is in a restaurant on our last day together in Europe, from the bottom left hand corner clockwise this is: Emily, Erica, Nathalie, Judy, Me, Shrea, Jillian and Sarah. 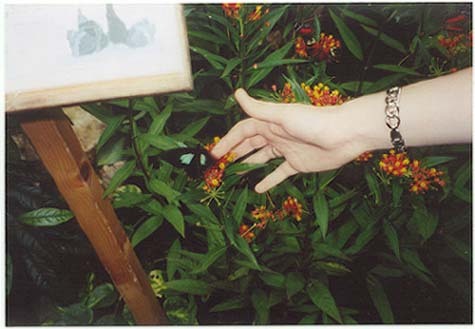 Yes, that butterfly is ACTUALLY ON MY FINGER!!!! Amazing ain't it?